Shorter term GANN Chart shows that Resistance for time being placed near 5050 levels and will increase slowly with respect to time. 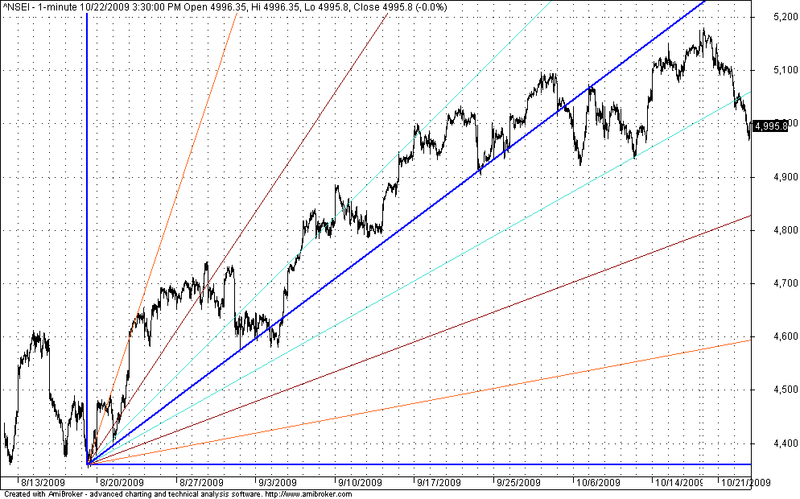 And Support lines for time being placed near 4840 levels and will increase slowly with respect to time. Its good to short 5100 and 5200 October Call Options.